Murketing noted with interest the recent announcement by Jen Bekman, founder of the jen bekman gallery, that she was planning a new project called 20X200 — “prints in limited editions of 200, for $20 each.” The concept raised some interesting questions, about the value of art, the boundary between the inclusive and the exclusive, the state of cultural expertise these days, and the possibility that as products become more like art, art is becoming more like products. So, I posed these questions to Ms. Bekman, who graciously answered them. Q: I noticed in the comments to your announcement somebody said something like, “This is great, an alternative to Target/Ikea blahness.” Is this project a more exclusive alternative to mass-ness, or a more inclusive alternative to the rarified high art world? A: It’s both really, which is why it’s so exciting to me. It’s radically different than typical artworld fare because the work is so inexpensive and the editions are big by normal standards, but how can an edition of 200 of anything be mass market? 20×200 is bigger in scale than most fine art editions, but I’m not selling posters at the Met. You mention TinyShowcase as inspiration — how is this different? * I’m doing photo editions in addition to mixed-media and print editions, which is a natural for me since my photography program is strong. * They’re artists, I’m a gallerist. We’re all curators, but there are some fundamental differences in how we approach things. One of the things that’s so cool about TS is their whole DIY approach, artists doing something cool with other artists, with no pretense and a very laid-back style. My style is different, by virtue of my background as a business person and the fact that I own a gallery. I’m certainly not uptight, but I’m definitely trying to figure out how to make a business out of this — I see 20×200 as something that supports my gallery’s program and will definitely use it, in part, to market shows and existing inventory. The New Republic‘s art critic, Jed Perl, recently had a long essay arguing that the contemporary art market has “lost its mind,” and a big part of his argument boiled down to a sort of defense of gatekeepers who can actually recognize a good painting when they see it. On the one hand, this line of thinking seems hopelessly out of touch, since the Web empowers the crowd etc. etc. (Threadless is a frequent example.) On the other hand, people love to tout “filters” (like Flavorpill, etc. ), which are basically just another form of gatekeeper. Or are they? How does 20×200 deal with this — are you a gatekeeper? Do art buyers need gatekeepers? Do they need art critics? Do they need gallery owners? Collectors can look at my track record and say “Yeah, I like her stuff.” Some collectors are more interested in the fact that other people have liked my stuff — critics, media, other buyers. Most are interested in a combination of the two things, and know also that they can trust me. 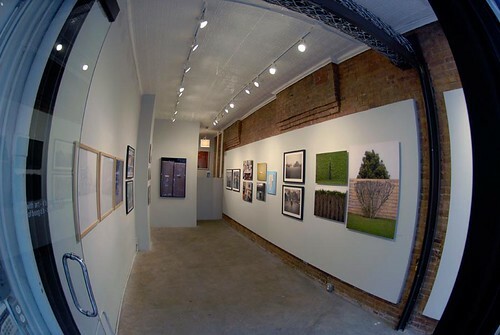 Part of a gallery’s role is to manage the editions, provide documentation, etc. It’s the boring part that makes me crazy because I’m not by nature an organized person, but it’s important. All of this stuff matters a lot less with a $20 purchase, for certain, which is great because I think that people will be more willing to just buy something and not agonize over whether they’re making the right choice. They can buy it because they love it, and know that they’re getting it from someone they can trust. It’s a pretty sweet deal. Why $20? That price seems so low it almost makes me wonder if it devalues the art. I’ve always gotten a lot of attention and interest from mainstream press because my approach to art has been a lot more populist than traditional galleries, but the attention rarely led to sales. I spent a lot of time trying to figure out what my $100 product was, but I think I was off the mark. $100 is still real money to a lot of people. If my thinking is correct, and I’m confident that it is, that $20 price ensures that demand will be greater than the supply, creating instant exclusivity. If someone likes something, they need to get it right then because it’ll be gone if they don’t. And really, why shouldn’t they if it’s only 20 bucks? In terms of devaluing the art, I’m not too worried about that part. I am not creating a ghetto for artists who are going to churn out cheap work, rather I’m creating unique opportunities to get work that’s usually much more expensive at an insanely affordable price. Also, the $20 pieces are going to be small – never bigger than 8×10. It’s a great value, which is a weird word to apply to art, but believe me there are a lot of value minded art buyers out there, but it’s not meant to compete with more expensive work. I see it more as a complement. As I said in my Good Magazine essay, I see these $20 prints as the gateway drug of the art buying world. The first one might not be for free, but it’s damn close. I’m hoping that the pleasure and satisfaction of the first purchase will embolden people to buy more and take bigger risks on more expensive pieces as they go. 20×200 has some built-in next steps. We’re also offering 200×20, bigger pieces in editions of 20 for 200 bucks, and 2000X2, very large prints in editions of 2 for $2000. How are you getting artists to go along with this, given the low price? Any resistance? Feel free to “break news” by revealing some of the artists you’re working with. The artists I’ve talked to are uniformly excited about it. A lot of artists have friends who can’t afford their work. A lot of artists can’t afford to buy work because, well, they’re artists. There’s not a lot of risk in doing something like this once, and it’s also good exposure for their work, so they’re into it. The only issue that’s come up with more established artists is the idea of a secondary market that takes advantage of the cheap price and then turns it around and sells the work for a big profit. From my perspective, some of that is a sign of success, but a lot of it isn’t good for the artist or for me. I have to see how that plays out. I am working with a lot of people that I work with already — many of my represented artists are participating, and lots of Hey, Hot Shot! winners too. Some of the participating photographers and artists associated with my gallery are Eliot Shepard, Joseph O. Holmes, Youngna Park, and Kate Bingaman-Burt, among others. Among those not associated with the gallery but participating in this project: Zoe Strauss, Michael Bierut, Michael DeFeo, and Brian Ulrich. And of course I’m working on some others who I’m not quite ready to announce yet. In that Good Magazine piece, by way of saying what’s good about art collecting, you wrote: “Each thing you own frames your personal history and becomes anchored to the chapter of your life in which you acquired it.” Hasn’t that become more true of everything from indie-designer dishware to limited-edition sneakers lately? What’s so special about “art”? Well, everyone buys sneakers or dishware. Not everyone buys art. Buying art and going to the effort of framing it and hanging it on your wall makes it special, and then you’re looking at it every day, too. And it doesn’t wear out since you’re not actually using it. Some of the specialness of buying art isn’t something I can exactly describe — it’s entirely ineffable to me, but I do know it’s good. The best way to know for yourself is to experience it, and one of the things that I’m truly excited about with regards to 20×200 is making it possible for lots of people to have that experience. Well let me try it this way: One of the things I think has been happening in the marketplace is products becoming more art-like. (Plenty of kids now buy sneakers that they have no intention of wearing, and they definitely think of, say, a SBTG– or Methamphibian-painted Nike as something much closer to a sculpture than an athletic shoe.) So is a project like 20X200 flipping this, and making art more like a product? Or does that sound like an insult? I want to create an opportunity that’s not instead of the traditional gallery environment, but in addition to it. I want more artists to make their living making art and I want the people who want to buy art, but feel that it’s too rarefied for them, to actually buy it. It’s absurd to me that there are so many of both of those types of people and yet they’re not connected with any sort of efficiency. I want to sell more art and I want more people to buy it. It’s a higher volume model, so it’s more likely to follow some of those traditional business rules. To make a long answer short: Yes. It’s a product and it’s not insulting at all. I think it’s about time. Murketing thanks Jen Bekman for her time and patience in answering these questions, and points you to the 20X200 site if you want to sign up for the launch announcement. Since hearing about this project I have had time to go over this a few times in my head. In response to is this devaluing art? Absolutely not. Talent for one stands out and in no way is Jen giving a free ride or attention to someone that isn’t already deserving. So there maybe be a so-called sacrifice if this were an artist’s first large edition or showing, but art has run so contrary to the market throughout history, why not run with it now? Along with this question yet, is what has devalued art so far? Yes shirts and shoes have become commodities even more so with the introduction of painted or design limited editions, but has that soured peoples taste in Van Goghs or the worship of false idols like Shepard Fairey? I mean Damien Hirst has lost his edge(and perhaps relevance), Banksy is raking in the dough hand over fist, so what do we do in this situation? There are loads of talented artists that have yet to make a significant sale, but are eager to show their mums and dads that you can make art and make money. Why we gotta kill peoples dreams to maintain the very structure that has limited access to art for centuries? I applaud your efforts Jen and don’t be angry when they’re are copycats. I think it’s less that Ms. Bekman is turning art into product, but that the products are trying to be more like art, and why not? I would love to hear the answers from art industry people on Rob’s question of “what makes art so special”? Not from a philosophical angle (everything is art, right? ), but more as a sales pitch – what is so special about these pictures and paintings (versus sneakers) that I, as a consumer, should pay with my hard-earned dollars? I also wonder if you take away the scarcity of pictures and prints, if they would become “less special” (I know if you take away the “limited edition” from shoes, the price would surely drop). That said, as a fan of pictures and paintings, I like the idea of Ms. Bekman’s project and will be a customer (will try – I wonder how fast those prints would sell out). I wish her success! YOU ARE DOING WHAT I HAVE WANTED TO DO FOR 30 YEARS. I WILL GIVE YOU AS MUCH ASSISTANCE AS I POSSIBLY CAN FROM THE TECHNICAL AND MARKETING PERSPECTIVES THAT I HAVE ACQUIRED OVER A CAREER IN “THE ART OF PHOTOGRAPHY”.